An infographic piece completed with the team at Tomorrow Partners recently won an award from the Neenah Paper UnShow Competition. The UnShow celebrates all forms of expression on any uncoated paper. Winners were published in the December issue of HOW Magazine. 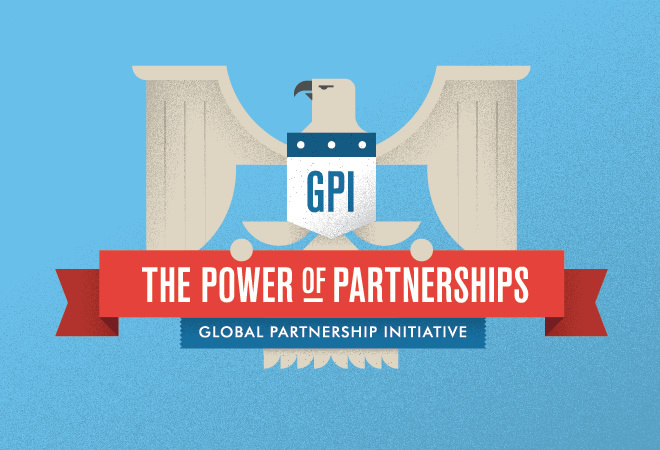 In addition to its presence at Secretary Clinton’s final celebration at the State Department, the infographic will continue to be used as the department works to solve global challenges through their flagship partnerships.